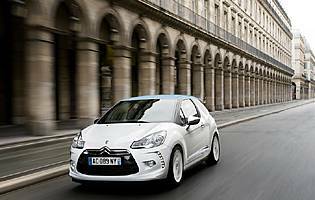 Citroen is to introduce a full range of premium DS models in the coming years and the C3 derived DS3 is the first. Boasting super-chic styling and a sharp chassis it aims to muscle in on the fashionable city car market. The DS3 is the first in a range of premium DS models that Citroen plans to introduce over the next few years, featuring typically chic Gallic design and high quality materials. The name may be borrowed from the vintage Citroen DS model but Citroen has set its stall out early with an 'anti-retro' campaign for the DS3, stating that the new models are about contemporary design, not reliving past glories. The DS3 is based on the new C3 and the domed basic shape is instantly apparent. The model also makes use of the same engine line-up, albeit with a sharpened chassis with greater focus on the driving experience. A 99g/km CO2 emitting model is available at the bottom end of the performance scale with the 1.6-litre turbocharged unit also employed by Peugeot and Mini being the high-output option. As with the DS3's key rivals, a large range of customisation options is available to allow DS3 customers to specify a bespoke vehicle. Roof decals, a raft of bold exterior colours and interior options including coloured trim, floor mats and various seat patterns are all present. None of this would be useful without a great core design however, and Citroen has pulled out all the stops with the DS3's sharp styling. The C3 DNA is obvious, but distinctive bodywork additions, large alloy wheels, LED lights and a sculptured B-pillar give the DS3 a cutting edge appeal. High quality materials and distinctive trim make the interior equally attractive. The DS3 is a worthy addition to the line-up of fashionable city cars from various manufacturers and boasts cutting edge exterior design that will look sharp on the high street. Customisation is key in this market, and Citroen has hit the nail on the head with its range of options. A varied range of engines and an enjoyable driving experience mean it can compete with the established fashionistas. 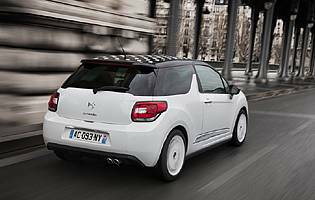 Citroen models are traditionally very reasonably priced and the DS3 is no exception, particularly considering the highly desirable design and quality materials. All engines are reasonably efficient, but the tax-escaping 99g diesel version is particularly frugal. Insurance costs may be higher than a standard C3 but should remain reasonable. Citroen has also introduced a new service package to accompany the DS3. Called FreeDrive, it includes valeting and replacement vehicle services. The DS3 boasts a very impressive boot for a small car, meaning the rear seats won't need to be dropped where they might in some rivals. Space for passengers is improved through a recessed dash assembly allowing the front passenger seat to be moved forward without compromise, freeing up additional legroom in the rear. Although relatively spacious in the rear compared to some rivals, adults may find the rear bench a little restrictive particularly with the large B-pillar restricting the view. Stylish ventilation controls complete with LCD screen are borrowed from the C3 but the instrument binnacle is a new internally lit version with needles that spring to life dramatically when the engine is started. The steering is fully adjustable and the precise gearshift extremely pleasant to use. Lighting and other controls adhere to traditional norms, so the DS3 feels instantly familiar and comfortable. 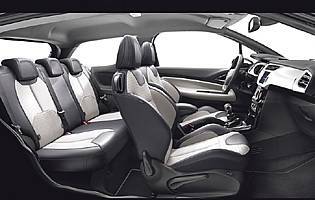 Decent specification is present across the DS3 range, meaning air-con and very comfortable and supportive seats. Road and engine noise are noticeably well restrained and the exhaust note fails to intrude. The six-speed gearbox of the more powerful engines keeps things sedate on the motorway and, although firm, the chassis absorbs all but the worst road imperfections. All models benefit from remote central locking and automatic door locking once on the move but, strangely, only the DSport models boast an alarm as standard. Six airbags and a reinforced safety cell are standard and the DS3 can boast a five-star safety rating. ABS with brake-force distribution is standard as is ESP. Isofix points are also included. While the Citroen C3 on which the DS3 is based disappoints in terms of the driving appeal of the petrol-engine models, the DS3 feels considerably more tailored towards the driving experience. The suspension is firm and the steering nicely weighted at speed, creating a responsive and rewarding package. Feedback from the controls is good and the turbocharged 1.6-litre petrol engine offers urgent performance and a pleasing exhaust note. The DS3 is equally capable around town, where its compact size means it fits right in. The DS3 is less suited to a family role. Although the rear would seat two small children it is not available in five-door form. More of a car for the fashion conscious driver free of dependants, families should probably look to the five-door C3 for a more suitable option. The DS3 offers an excellent mix of qualities for a young driver or first time car buyer. Very smartly styled, reasonably practical, well equipped and affordable, it should appeal strongly to younger drivers. It's not a difficult car to drive for the novice, and the economical diesel options will help with running costs. The DS3 is the first in a new range of DS-monikered luxury vehicles from Citroen and boasts superior levels of luxury to the standard Citroen range. The materials used in the DS3 are of high quality and the finish is, on the whole, very good. Citroen's reputation for reliability has not traditionally been the best but big strides have been made in recent years. The strikingly stylish exterior and customisable nature means the DS3 can easily rival the currently fashionable models for kerb appeal. Obvious three-door issues aside, the DS3 does not suffer for accessibility. Long doors allow for reasonable access to the rear and the seats moved forward far enough to allow access for bigger frames. The dome body shape means the front passenger compartment is tall. The door release is positioned very far forward; a small quibble but it can make a difference to ease of exit in strong winds or when parked in a tight spot. A built-in sat-nav system is available on the DS3 and neatly incorporated in the centre console. It comes with Bluetooth and USB input but is a cost option. The standard sound system includes an additional central speaker and a subwoofer in the boot. It provides an excellent level of sound quality and will not disappoint young music fans. There are simply too many colour, decal and trim options to list for the DS3, with the exterior and interior fully customisable with a range of factory fitted decals. Internal and external standard equipment and finish depends on the trim level opted for - the DSport gets beefy 17-inch alloy wheels and attractive chromework - but all models feature charismatic vertical LED running lamps. Colour options are bold and will appeal to all tastes, with soft pastel shades and moody darker hues available. The DS3 poses few problems when it comes to parking thanks to its compact dimensions, although parking sensors are available. The bulk designer B-pillar does restrict over-shoulder visibility somewhat, but this shouldn't prove too much of an issue. The steering is suitably light in town, and the turning circle very respectable. Large alloy wheels have little rubber to protect form kerb damage, however. Emergency tyre repair kit fitted as standard. Petrol engine options - 1.4-litre (95bhp); 1.6-litre (120bhp and 156hp). Diesel engine options - 1.6-litre (92bhp and 112bhp). 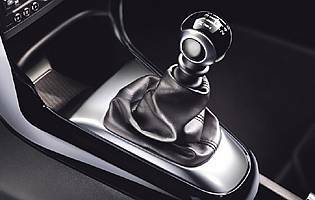 Transmission options: five-speed manual gearbox, six-speed manual gearbox, four-speed automatic gearbox. Trim levels: DSign, DStyle, DStyle 99g, DSport.